This year Coach Joshy got the every1plays Hoop Dreams logo updated on the jerseys and e1p gear. The look is strong as we prep for summer activity including camps, city league hoop, and promoting basketball activity for kids in the city! Check out the shots below! Hoop Dreams! 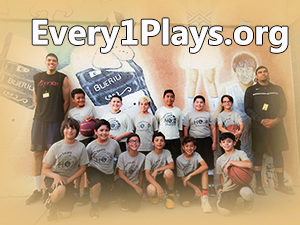 Featured Link: jr.nba.com @jrNBA #e1plinks #every1plays What is the Jr. #NBA Way? Introducing El Barrio Sports Club in El Paso, Texas, Cruz Morales, Jr.